I thought that Schönbrunn was the largest palace anyone could possibly want or need. How wrong I was. 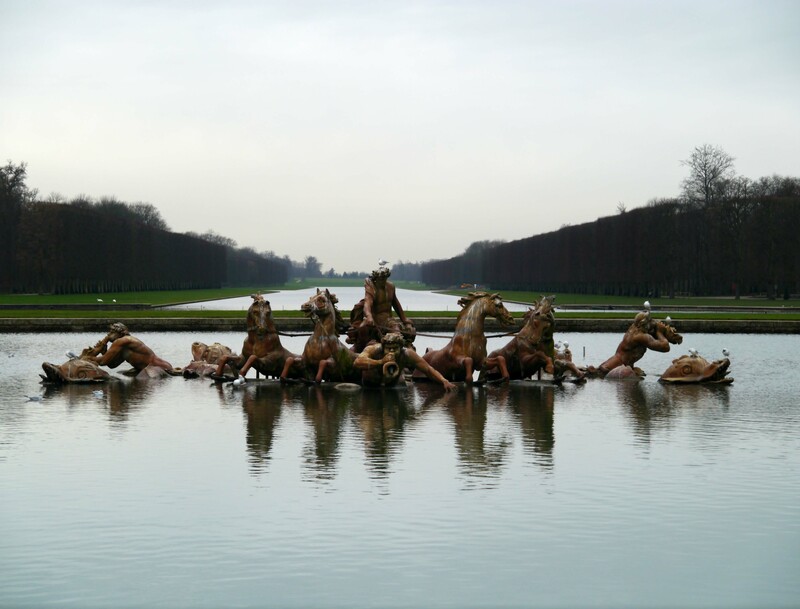 Versailles is by far much larger and grander than Schönbrunn, both in the size of the gardens and in the size of the palace itself. However, like Schönbrunn it started as a hunting lodge and was slowly expanded and built into what we see today. 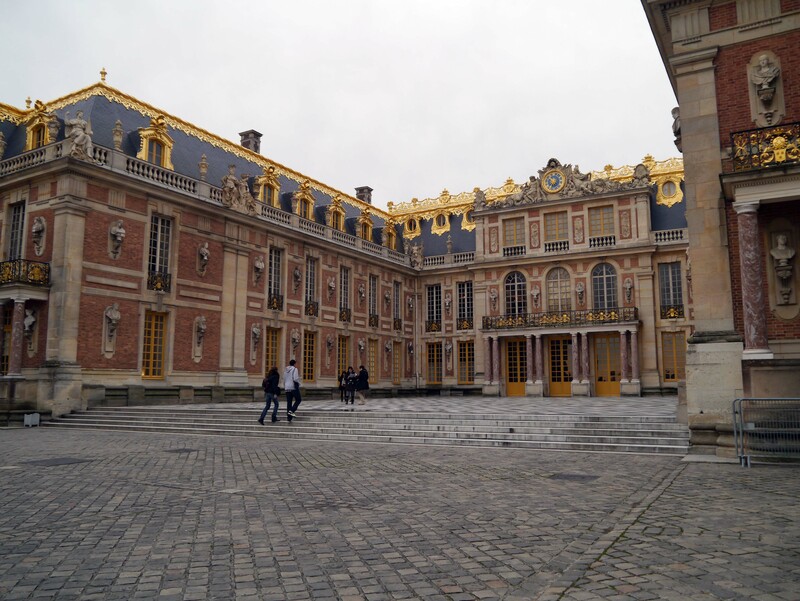 Once it was transformed into a palace, the seat of the French government was moved here and the kings of France had their homes in the palace. 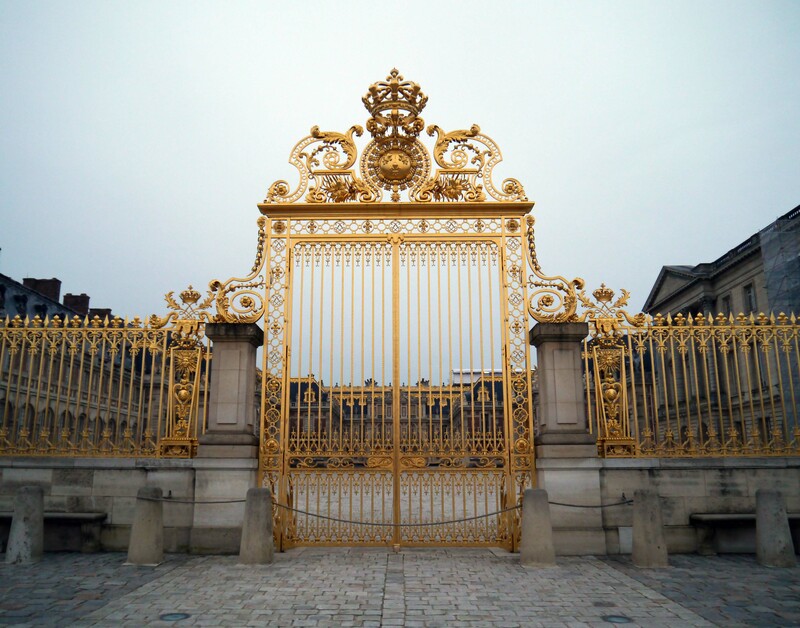 It was only after the French Revolution that it was no longer occupied. There are a few different sections of the palace that can be explored. We took a tour of the King and Queen’s Grand Apartments, which are set off to the right of the palace. They built this section, because the king and queen wanted an area where they could live separate lives from the court and have some peace and quiet. The King’s Apartment was very impressive, although the rooms were smaller than I thought they would be. Many of the rooms had hidden doors that led into secret sections of the apartments where the king could spend his time alone and working on official business. 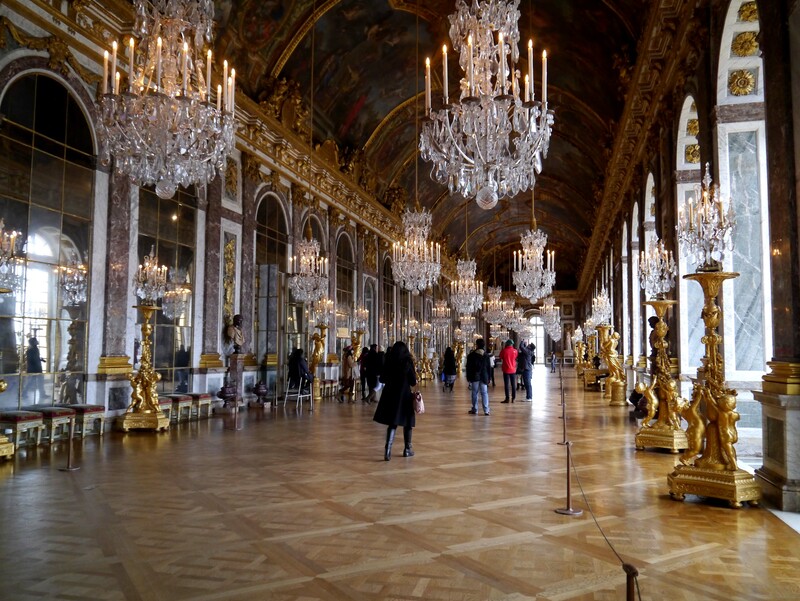 The rest of the palace has been transformed into a museum. 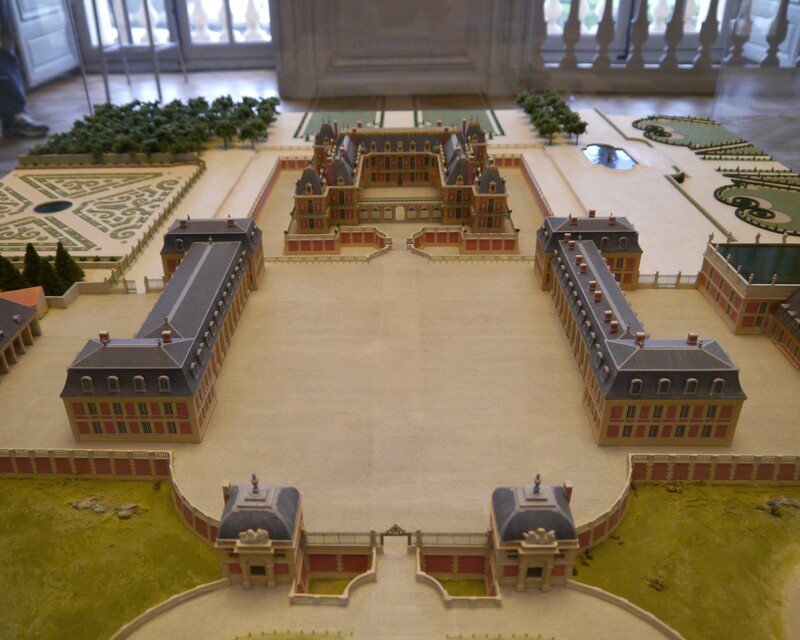 Below is a model of the palace when it was in the first stages of its construction. Although it is large, this little place is nothing compared to the vast palace today. The palace and the gardens today. 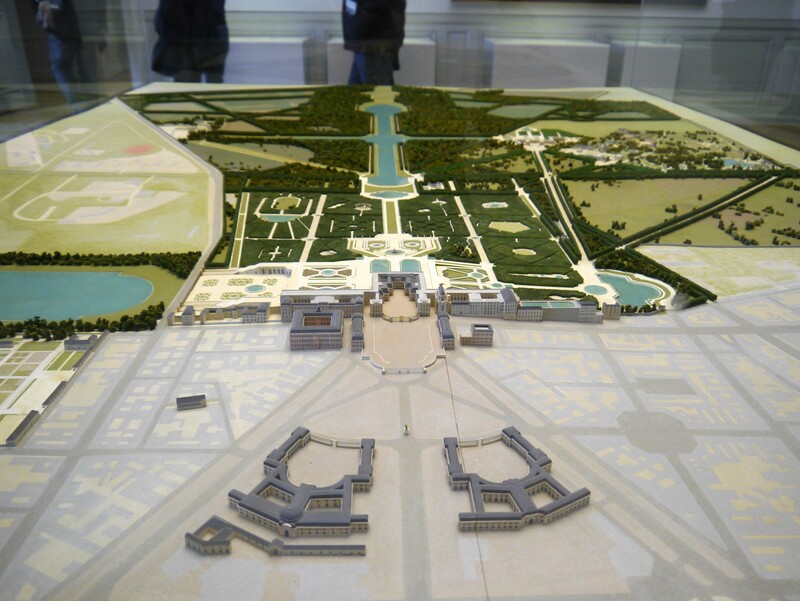 The two buildings in the very front of the model are the stables. The Queen’s bed. 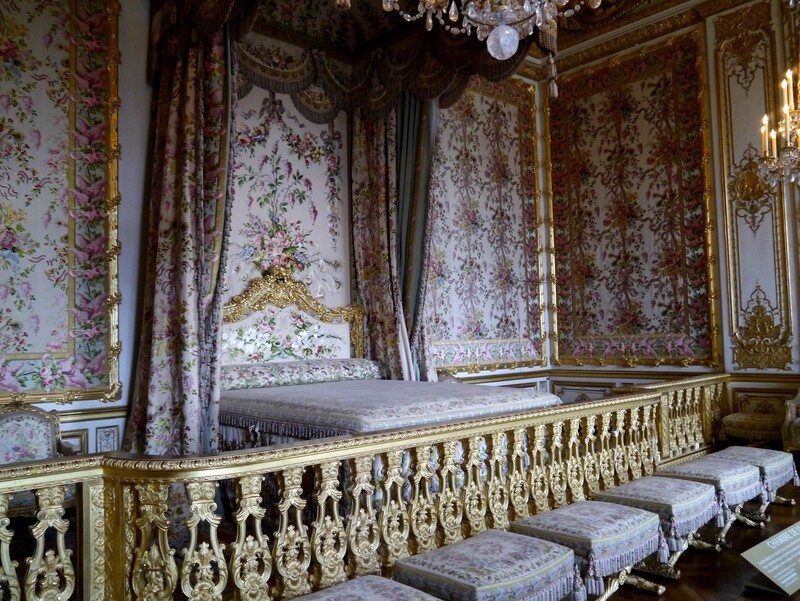 The queen never actually slept in this bed, but simply received her guests in this room. Even more impressive than the palace were the gardens. The garden itself could hold a small town, with enough space for people to live comfortably. My family and I decided it was worth the money, and we became the ultimate tourists by renting a golf cart and touring the gardens that way. 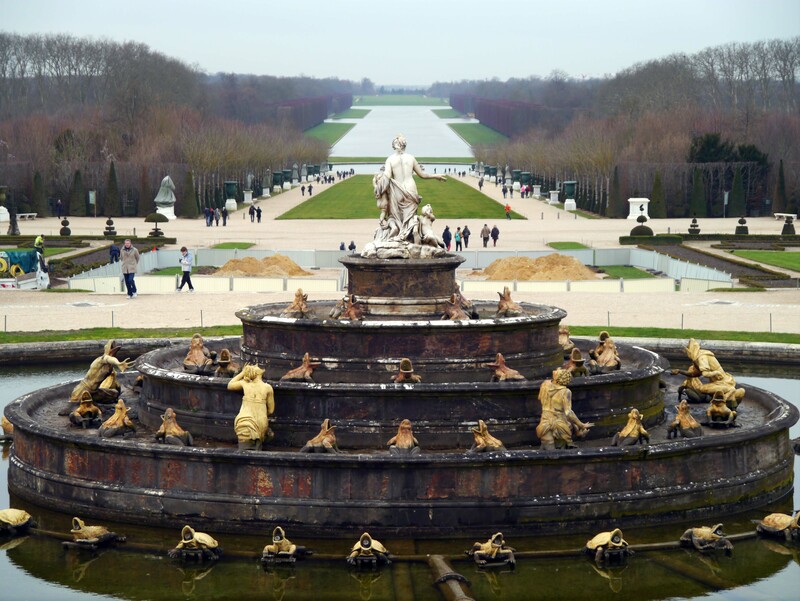 It was a good thing we did, because it would have taken us well over an hour just to get to the Grand Trianon, which sits on the other side of the garden from the palace. The Gardens from behind the Latona Fountain. The large lake in the center is called the Grand Canal, after the canal in Venice. There used to be two gondolas floating in the lake as well.